Buffalo Valley Door Service, Inc.
*Master Authorized Clopay Dealer* Since 1994, Buffalo Valley Door Service, Inc. has been Central and North Central Pennsylvania's source for top quality residential and commercial garage doors, garage door openers, and components associated with the overhead door industry. In addition to new installations, we service and repair garage doors and accessories, with access to many different brands of replacement parts. Our commitment to our customers has been the cornerstone of our success, and with thousands of satisfied customers, we have worked hard to build a solid reputation. In fact, the majority of our business still comes from referrals by our customers. In need of a new garage door, replacement of broken springs, cables, rollers and tracks, wireless opener and sales? This is where Jaabe Garage Doors steps in. It is a family-owned company that prides itself in providing high quality and exceptional garage door products and services at a reasonable price with a dedication to satisfy client’s needs. We offer a wide variety of services ranging from installation, maintenance of garage doors and openers, repair and sales of various manufacturer’s makes and models of residential doors that will suit your taste. Every garage door installed magnifies our passion to make your houses safe and convenient to live in. Advantage Garage Doors Inc. in Hanover, PA is family owned and operated with over 30 years of experience in the garage door field. We take great pride in the services we provide and take great care uphold our high standards of excellence. From the beginning, Advantage Garage Doors Inc. was built upon the values of honesty, integrity and quality. Today, we are proud to continue practicing these values that given us return customers and referrals time and time again. You won’t get subcontractor installations when you call Advantage Garage Doors Inc. You get only the best, and that means having one of our experienced company owner installers do the work from start to finish. We attribute our longevity to this commitment to quality by making sure that we personally oversee all the work we do. 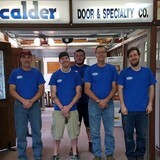 Doors Express has been providing Central Pennsylvania with quality products and exceptional service for over 52 years. We service large developers and contractors, but never neglect the individual. Our delivery and service experience is not limited to small residential buildings, but also includes commercial and industrial buildings, dock equipment, rolling doors, and fire doors. Because we are the largest garage door dealer in Pennsylvania, we can offer the largest selection of doors in stock. This allows us to give you the best selection and prompt service. Our full-time warehouse employees will get your order fulfilled and delivered in a timely fashion. Feel free to use this website to learn more about our company and the products we offer. If you see something that interests you and would like more information or a free quote, please use the links provided on the products page. We look forward to having an opportunity to serve you in the future. LANCASTER COUNTY'S FINEST GARAGE DOOR INSTALLATION AND SERVICE. GO ENERGY EFFICIENT FOR MORE SAVINGS. UPDATING TO A NEW MODEL DOOR MAKES YOUR HOME MORE ENERGY EFFICIENT. THAT MEANS LOWER UTILITY BILLS, WHICH IS A GREAT REASON TO UPGRADE. IF YOU LIVE IN AN AREA WITH A MILDER CLIMATE, OR YOUR GARAGE IS DETACHED, OPT FOR A LESS-EXPENSIVE, YET ATTRACTIVE, NON-INSULATED DOOR. We sell, service and install garage door, garage door openers and gate openers in residential and commercial applications. 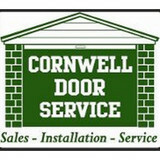 What kind of services do New Market, PA garage door dealers and installers provide? Find garage door sellers and installers in New Market, PA on Houzz. Narrow your search for New Market, PA garage door sellers and installers by selecting the nearest city or zip code. Look at portfolio and product photos, and read reviews to find the best New Market, PA garage door professional for your home.